Welcome to Harbor Watch on Lake Norman in Statesville NC! 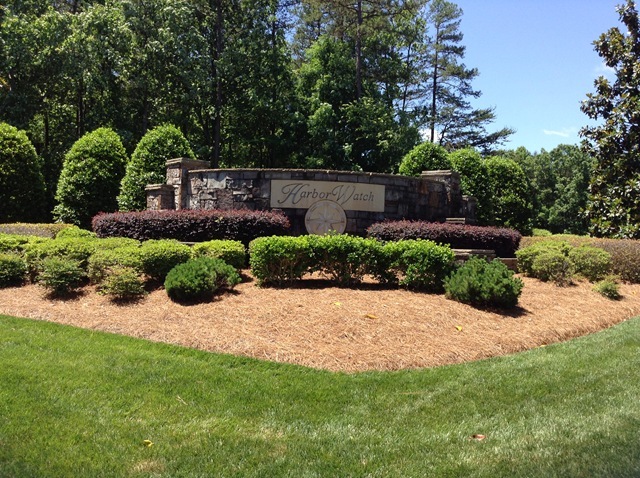 This community is located on the upper end of Lake Norman on the main channel of the Catawba River. Centrally located between Hickory, Statesville and Mooresville and with easy access to I-40. You will love the large wooded lots and privacy between homes. Most of the interior lots range from .75 to over 3 acres! Waterfront lots range from .5 to over an acre. As you drive around this neighborhood, you will get the sense you are in the mountains with rolling hills and mature wooded landscape. Come explore the unique features offered by the Harbor Watch Community. There are two private islands on Lake Norman offering fun for all. Bring the family and camp out, hang out on the small beach area, fish or just pull up the boat and visit with your neighbors. There are also two small interior stocked fishing ponds that are catch and release. Pull up a seat on the park benches and watch the fun! If you love boating on Lake Norman, there are community day slips available for you. Load up the boat in the morning and take off for a day of fun on the lake! The boat landing has a covered gazebo area, sunning decks and picnic area plus a boat launch area and parking space. When you finish the day, you can take store your boat in the secure fenced storage area just off Laurel Cove Rd. This storage area offers plenty of room for RV’s, boats, trailers and additional vehicles. To get to Harbor Watch on Lake Norman in Statesville NC, take Exit 42 – Troutman- off of I-77 and go north on 21 through town, past the Food Lion. Take a left on Old Mountain Road to the next light then L on Buffalo Shoals Rd for about 3 miles. Left on Laurel Cove and the Harbor Watch will be on your right. You will see the beautifully landscaped front entrance and gate house. There are a great variety of homes available for sale in Harbor Watch ranging in price from $250,000 to over a million. 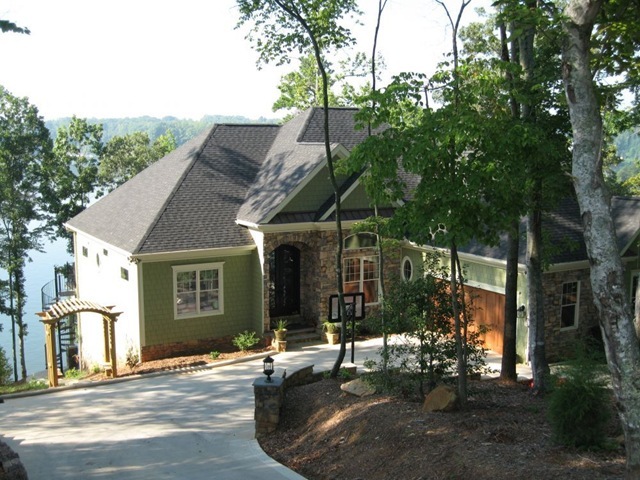 There are waterfront lots, waterview of Lake Norman or of the interior lakes and interior lots. Search all homes for sale in Harbor Watch or call me for homes that may not be listed or are coming soon to the market. Harbor Watch is a private community with private roads that are maintained by the HOA. Annual dues are currently $600 (please verify current dues) and this includes road maintenance, maintenance of the common areas and amenities. All homes will have their own septic system and water well. Living in Statesville NC offers many options for education from public schools, to private options to Higher Education. Public Schools options with depend on the where you live. You can visit the Iredell- Statesville Schools Website for school assignments and more information about the school district. If private schools are what you are searching for, you will find many options such as Statesville Montessori, Cornerstone Christian, Southview Christian Academy and Statesville Christian. There is also the American Renaissance School in downtown Statesville for grades K-8. Higher Education options include Mitchell Community College and Gardner Webb University. Click this link for common questions about enrollment in NC Public Schools. Statesville is full of activities that will please any age or interest. Every year you will enjoy the sites and tastes at the Carolina Balloonfest, the Crossroads Pumpkinfest, the annual Christmas Parade or the summer “Friday after Five” Concert series. Take a visit to the Fort Dobbs Historic Civil War Site or take the kids to Zootastic for a fun fill day with the animals. You might like to take the downtown guided tour of historic sites or join in on the annual “Amazing Race” sponsored by the Statesville Chamber of Commerce. Come out for the downtown Art Crawls or take a day visiting one of the local NASCAR Race shops. If you love horses, a drive out the Love Valley (our very own western town in the Piedmont) and take some horse riding lessons or watch a real rodeo. You can drive to Troutman for the annual Iredell County Fair or watch the annual Independence Day Parade and Fireworks. Let’s not forget that NC has lots of vineyards in this area and a must see is Daveste Vineyards in Troutman. A great day of wine tasting and good music! If enjoying a day on the lake, cruise south below the Hwy 150 bridge and explore Queens Landing for the day. Enjoy mini golf, outside entertainment, the piano bar and don’t miss the annual 4th of July fireworks. Check out one of the local waterfront restaurants on Lake Norman and enjoy a fabulous lunch. Find one of the local sandbars and hang for the day or just spend the day skiing, tubing and swimming. It’s a great place to play for the day! 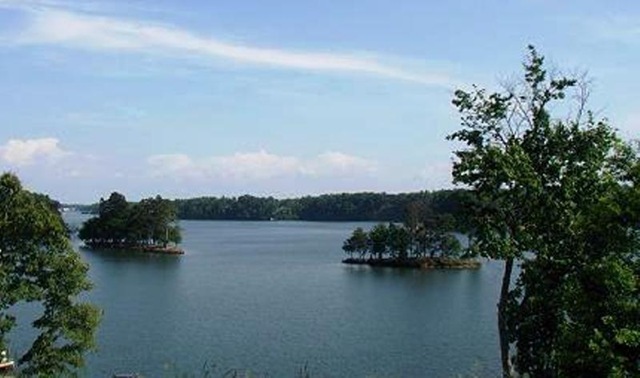 Located just a few miles away is the Lake Norman State Park where you can enjoy camping, hiking, bike riding through miles of trails, swimming and much more. In every city or town you choose to live, some things you must have access to are good hospitals and other resources such as a library and recreational facilities. Living in Statesville NC will give you many choices when it comes to your health and family. Statesville is home to Iredell Memorial Hospital and Davis Regional Medical Center and is only a short distance from Lake Norman Regional Medical, Carolinas Medical Center, Presbyterian Hospital and specialty medical facilities such as the Lavine Children’s Hospital and Wake Forest Medical Center. Statesville has a beautiful library close to downtown and offers recreational facilities for families at the Statesville Fitness and Activity Center, the YMCA, the Boys and Girls Club, ZX Fitness, All American Fitness, Total Fitness and more. Thinking of selling your Harbor Watch Home or buying in Harbor Watch? Work with experience. I have personally been a part of over 8 transactions in Harbor Watch and know the community very well. I can answer all your questions or show you any homes for sale. Feel free to contact me today for my marketing plan or to schedule an appointment. I look forward to hearing from you! 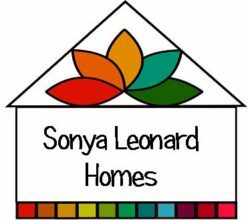 Call Sonya Leonard with The Home Style Team directly at 704-450-0588 for your personal tour of Harbor Watch or other Lake Norman Communities. Sign up on my website to be notified of new Harbor Watch Listings as soon as they hit the market! Previous Previous post: Your Real Estate Closing just got a little faster in Mooresville NC!